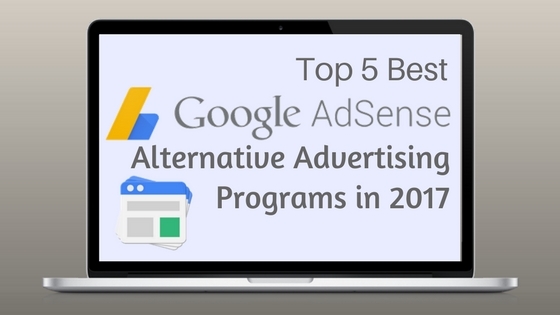 If you got disapproved or banned by Google Adsense advertising program, then using alternative can be a great opportunity to start generating revenue from your blog. I’ve seen many bloggers quit blogging, after getting rejected by Google Adsense. But, trust me, there are a lot more chances available for publishers. There are thousands of different legit advertising programs are available, even some them provides more income then Adsense. Adsense was just your first one and you failed. So, don’t lose hope. Stand up and show your true passion to the world, try to be more professional than before because there is no time to lose. There are a lot of ad networks that share a decent amount of revenue to their publisher. You can also use these advertising networks along with AdSense to increase your profits. As we know, Google Adsense is the top advertising program and there’s no doubt about that. There is no such other advertising network which can beat Adsense. If you haven’t applied for Adsense program yet, here’s the guide. If your application got rejected. If your account is banned by Adsense. If you’re not eligible for Adsense yet. If you are not satisfied with your advertisement earnings. If Adsense can’t activate your account. So, no matter what reasons you have. Anyone can apply to below options and the best part about them is, some of them will approve your account in just 1 day or maximum 2 days. Whereas Adsense takes around 1-2 months for final approval. Once you get approved, place ads on your site and start making money! Media is one of the best and easiest advertising network for publishers, especially for new bloggers. The endorsement process of media.net is quite faster than Adsense. I’ve seen many blogging getting a modest amount from this network. It provides the full variety of advertising and traffic monetization solutions and has one of the most comprehensive ad tech portfolios in the industry. By revenue, “Media.net is the #2 largest contextual advertising business worldwide”. Its platform & products are licensed by various publishers, ad networks, and other ad tech companies globall. Very easy to use and integrate. Traffic quality and compliance management capabilities. Big data and real-time reporting capabilities. Client control and data protection. High quality with very low error rate. Demonstrated ability to continue to innovate. Media.net builds products that auto-learn and optimize to display the most relevant ads and offers to end-users in formats that provide a good user experience and revenue and provide industry leading user privacy protections. Infolinks is another good advertising network similar to Adsense, it provides high engagement ad units and runs a keyword-based real-time bidding auction, in order to deliver a perfect relevant ad for users. Infolinks aims to provide a global advertising solution that gives value to all three ends of the advertising chain through our unique ad platform. Infolinks publishers can select the Infolinks ad combination from their self-service ad unit: InFold, InTag, InText, and In screen. It takes less than a minute to integrate Infolinks on a publisher’s site. Your Infolinks profits depend on how you implement the various products on your site as well as your visitors’ engagement with the Infolinks ads. Once you reached the threshold volume, you will be paid off by PayPal or Payoneer. RevenueHits is a self-service platform for publishers to make more returns with the Contextual & Geo-targeted Advertisements. They provide innovative As networks mainly developed for publishers to monetize online assets, including toolbars, websites, search, widgets, and further. 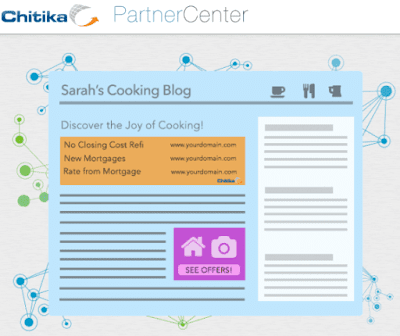 Their ads contain effective text and display ads that promote performance-based offers. By serving these proven ads they help their publishers increase resources and improve their bottom line. There is another way to earn cash using Revenue Hits is referral program. On your account, in the REFERRALS Tab, you have a referral link that has your unique ID. Send the link to all of your relevant friends and colleague and once they sign-in to our platform it will be under your name, you will receive 10% share of his wages for one year. Bidvertiser is another excellent advertising program that helps publishers gain bucks for clicks and conversions! They simply display the BidVertiser ads on your blog/website and let advertisers bid against each other. They always display the highest bidders to maximize your revenue so you will make more cash! 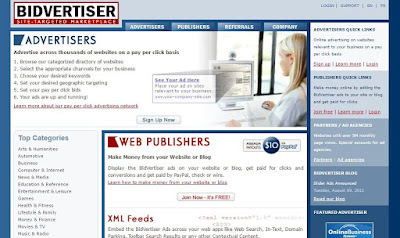 The program is free and BidVertiser pays you for valid clicks on the ads on your site, as well as for conversions generated from those clicks. All you need to do is paste the HTML code into your web pages and ads will instantly start appearing. Advertisers will declare against each other for your ad space, while our 3rd generation bidding-based ad serving system will always display the highest bidders, those that will cause the highest wealth for your advertising space. You will see a constant improvement in your bidding over time, as both your visitors and our advertisers will be exposed to the opportunity of bidding against each other on your ad space. In addition, you will enjoy an extra payment for each conversion that your clicks are generating. Payments are sent via check or PayPal on a monthly basis within 30 days after the end of each calendar month. If you have chosen to be paid by PayPal, BidVertiser will issue payment 30 days after the end of each calendar month that BidVertiser ads are running on your site if your earned balance is the US $10.00 or more. If your account’s balance is not $10.00 at month end, the balance will be carried over into the next month and paid out once you have earned $10.00 or more. Their advertising network offers multi-channel advertising solutions for display, desktop, video, mobile, and in-app. It’s important for ad formats to be optimized for each channel, so it’s a good thing that we are obsessed with the modernization of our algorithms and the use of the latest technologies. They offer a flexible and transparent bidding model that delivers real market value to both publishers and advertisers. Our publishers are thrilled to receive maximum earnings from their site, particularly with our pop-under solutions, which are industry leading and offer the highest CPM rates in the industry. While our advertisers have access to a massive selection of premium sites, no wasted money due to our stringent optimizations, and they receive a dedicated account manager to ensure world-class service. At Propeller, Ads believe that we’re the best partner for publishers and advertisers that are looking to get the most value out of an advertising network. Chitika is an Award-winning online advertisement company, that provides self-service advertising program. Getting approved in Chitika is quite fast, but for obtaining satisfactory pay, to increase receiving from Chitika you need to declare your blog. After adding the Chitika ad codes to your blog, they will track your audiences country like whether you are getting traffic from USA/UK or Asian countries and on that basis, they will deliver high-quality ads. Once they start producing very good condition ads then you will start gaining a lot of money. After creating your new account, complete your profile section and add your payment method so that you get the most of the quality advertisement. Remember, “trust is everything”, never click on your own advertisements, by doing it if you get caught than definitely they will ban or disable your account immediately. So, let your views do this task, and you concentrate on driving more traffic to your site by publishing quality articles. Have you been using any other alternatives? Let me know in the comment box below and if like this post, then share it with your friends, collagues and family members.